Kirk is a dedicated leader in the intellectual property (IP) and patent communities, particularly the latter, both locally in St. Louis and nationally. As such, he has been involved in numerous bar and industry associations that attempt to promote the cause of intellectual property protection as well as the rights of innovators, inventors, and designers. A few of those are below. 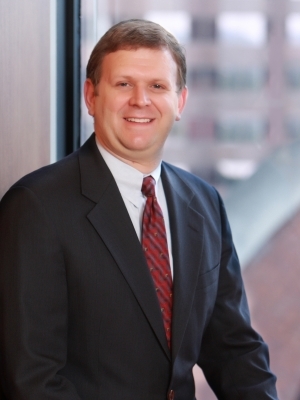 In 2014, Kirk founded the research committee that helped the U.S. Patent and Trademark Office create a regional patent pro bono hub in the city of St. Louis. The hub provides patent representation to parties of limited financial resources in Missouri, Arkansas, Oklahoma, Nebraska, and Kansas. As part of his actions in founding this hub, Kirk was also asked to serve on the Board of Directors of the Pro Bono Advisory Council (PBAC) of the U.S. Patent and Trademark Office to assist in crafting national policy for pro bono patent representation. The IEEE is the world's largest professional association for the advancement of technology. The IEEE and its members encourage a global community via publications, conferences, technology standards, and professional and educational activities. A member of the IEEE since 2000, Kirk is a full member of the Intellectual Property Committee, which is active in both educating IEEE members on IP issues and guiding the IEEE leadership in the filing of amicus briefs and legislative efforts involving IP, and a founding member of the Intellectual Property Professionals Committee, which serves to assist members of the IEEE involved in the legal profession. Kirk has also lectured on IP topics at local IEEE meetings, such as delivering the lecture "Intellectual Property Fundamentals for an Engineer" at the MPSE and IEEE joint meeting in St. Louis in 2011. The ABA is committed to supporting the legal profession with practical resources for legal professionals while improving the administration of justice, accrediting law schools, establishing model ethical codes, and more. A member since 2000, Kirk has helped the IPL advance the development of intellectual property laws, and their fair and just administration.